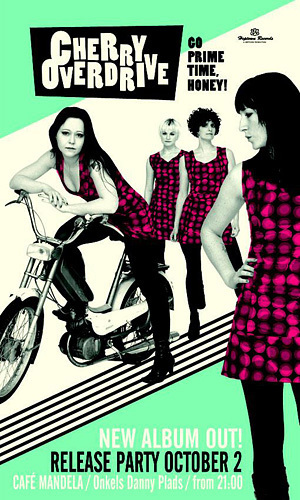 In spring 2006 Cherry Overdrive started recording their debut album and were invited to play at Danish National Radio’s event “Radiohuset Rocker”, where they were discovered by Swedish record label Heptown Records who signed Cherry Overdrive on the spot. The debut single “Reptiles” was released fall 2006 and the two single tracks were on rotation on DR P3 during fall and winter 2006. In February 2007 the band’s debut album “Clear Light” finally hit the streets. The album was very well received and gave the band a fair amount of attention. Cherry Overdrive played Danish Spot Festival in spring 2007 and furthermore had a lot of live activity in Germany and Sweden that year. Cherry Overdrive was featured on the compilation “Terminal Damage Act 1” (Heptown Rec., 2007) and in October 2007 the band recorded their following single “Our Sound” which was released early 2008 and also found its way to radio airplay national as well as international. 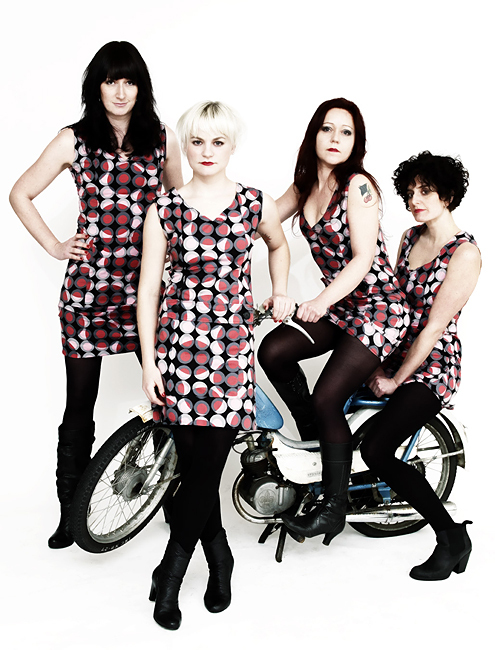 Cherry Overdrive played their first gig in London on legendary venue “Dirty Water” in January 2009, released the single “I’ll Be Gone” and spent most of the year touring and writing new material for the coming album, which was recorded during fall 2009 taking the girls in a new melodic direction. 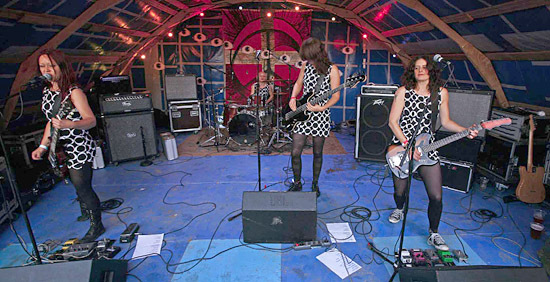 Cherry Overdrive’s second album “Go Prime Time, Honey” will be released on Heptown Records in September 2010 and the band will continuously tour Denmark and Germany during the fall 2010 and hopefully break new international grounds in the time to come. Mail: "management at cherryoverdrive dot com"